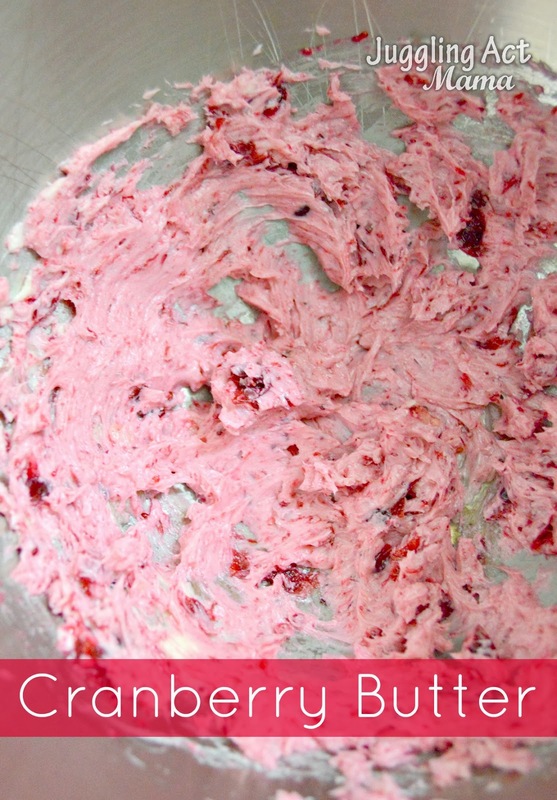 This Cranberry Butter is perfect for the holidays! 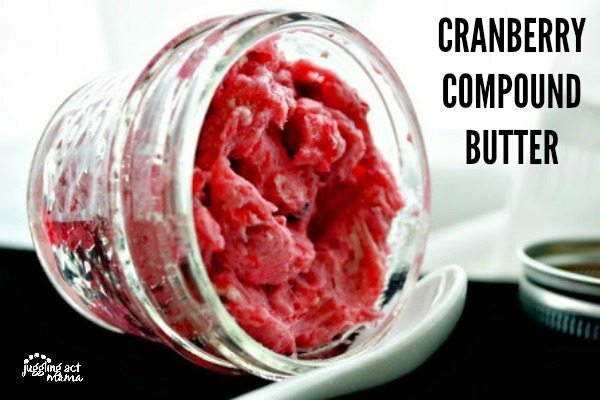 I love making my own flavored compound butters. They are just so easy, and yet impressive. Garlic Chive Butter on baked potatoes is just heavenly! But if sweet is more your thing, you have to try my Brown Sugar Butter – both are so, so good on a stack of pancakes, or homemade toast. This time of year, it’s nice to a have a few small things on hand for hostess gifts and this is one you can literally whip together in no time and keep in the refrigerator for about two weeks. Make up two or three ahead of time and just grab one on your way out the door. Add a fresh loaf of local bread or some tasty crackers and a pretty ribbon and you’ve got a thoughtful little gift. Using the paddle attachment on your electric mixer, combine the softened butter with the cranberry sauce, honey and salt. Whip together until fully incorporated, about 2 minutes. 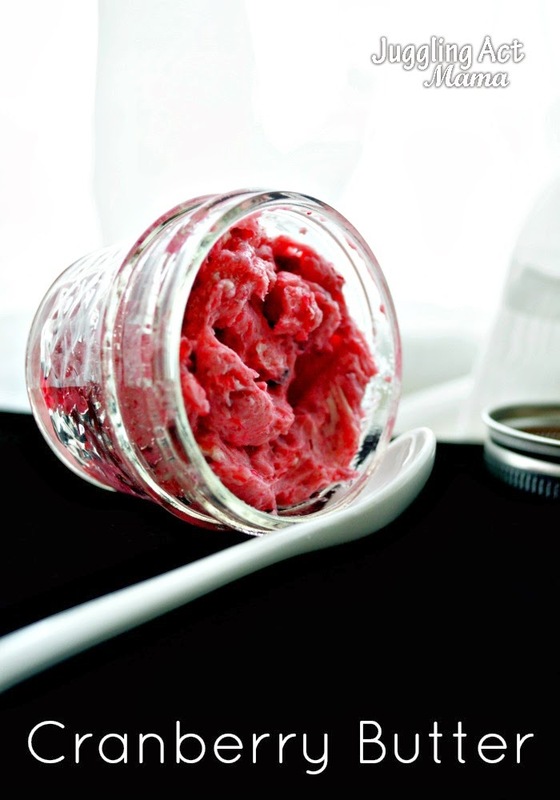 Scoop out the butter mixture with a rubber spatula and fill your jar. Wipe the rims, and seal the jar tightly. 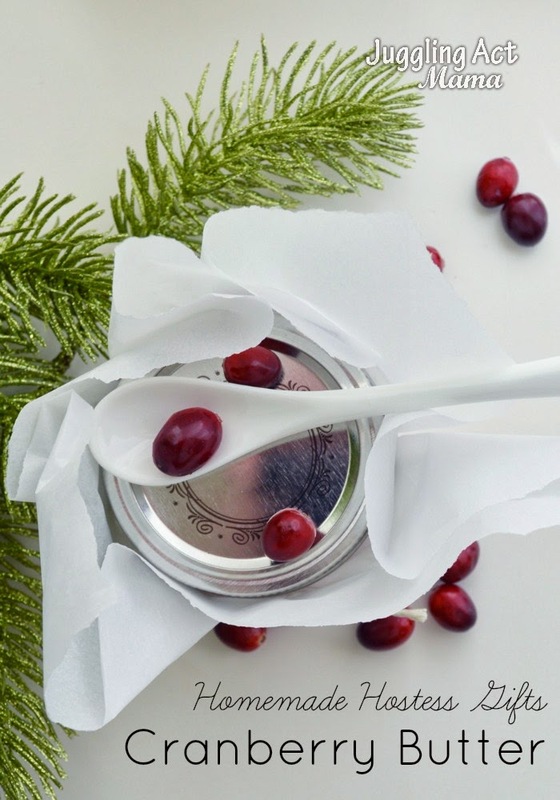 Wrap them with the parchment paper and twine or wait until you’re ready to hand them out. 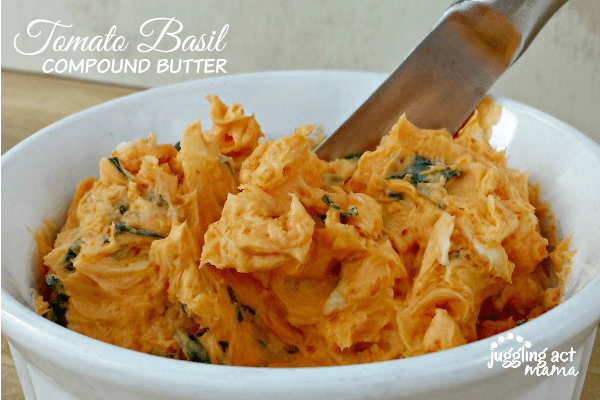 Tomato Basil Compound Butter is my favorite for quick pasta dishes. 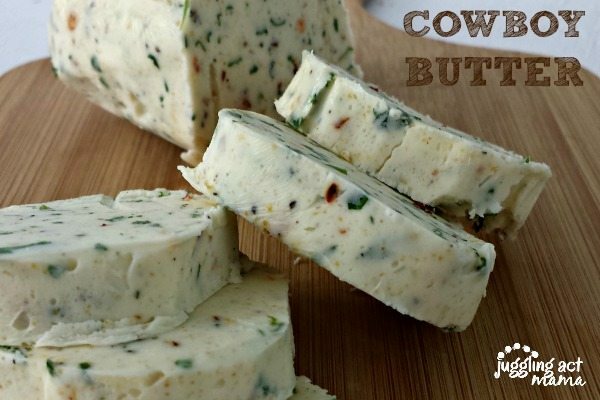 My Cowboy Butter, adapted from The Pioneer Woman, is a reader favorite! 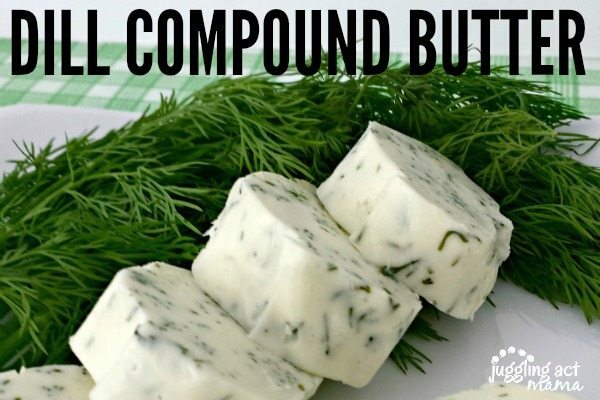 My Simple Dill Compound Butter is great for seafood dishes especially! 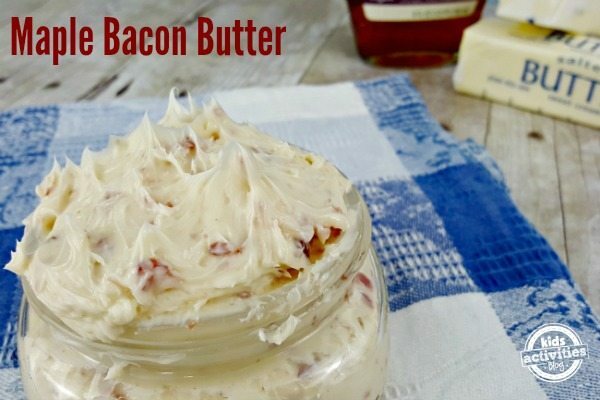 No brunch spread is complete without this Maple Bacon Butter! 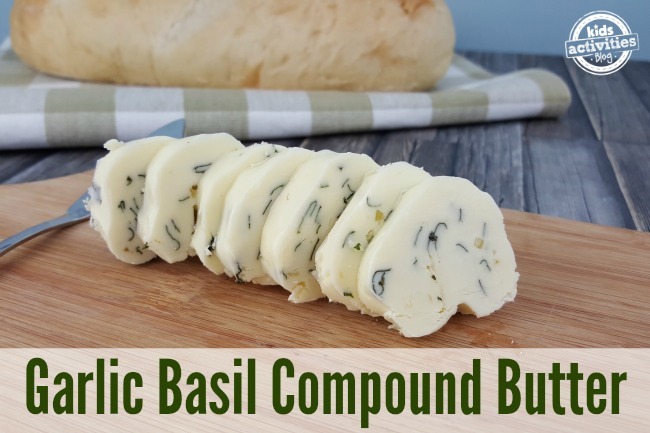 Garlic Basil Compound Butter makes the most amazing garlic bread you’ve ever tried! Thanks so much for linking up this recipe at Tasty Tuesdays last week. I chose to have it be one of my features for this week!! Hope to see you around Tasty Tuesdays over at West Street Story again soon!